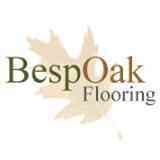 Bespoak Flooring - Carpets/Flooring, Kitchens based in Bishop Auckland, Durham. Bespoak flooring have a very modern showroom located in Bishop Auckland supplying wood flooring, laminate and luxury vinyl flooring. We specialise in the supply and installation of hardwood flooring and also the restoration, repair and dust free sanding of existing hardwood floors or floorboards. If it is a restoration you require we would come out to the location carry out a quick survey and give you a free quote. We use Bona dust free machines giving you the best possible results and only use the best floor finishes for excellent results. All of our staff are time served carpenters and have undergone further training within the flooring industry. We are based in Bishop Auckland, County Durham but cover all the north east and Nationwide.Our main priority is to keep up an excellent reputation and work to the highest standards at all times. Call today for a free home visit!